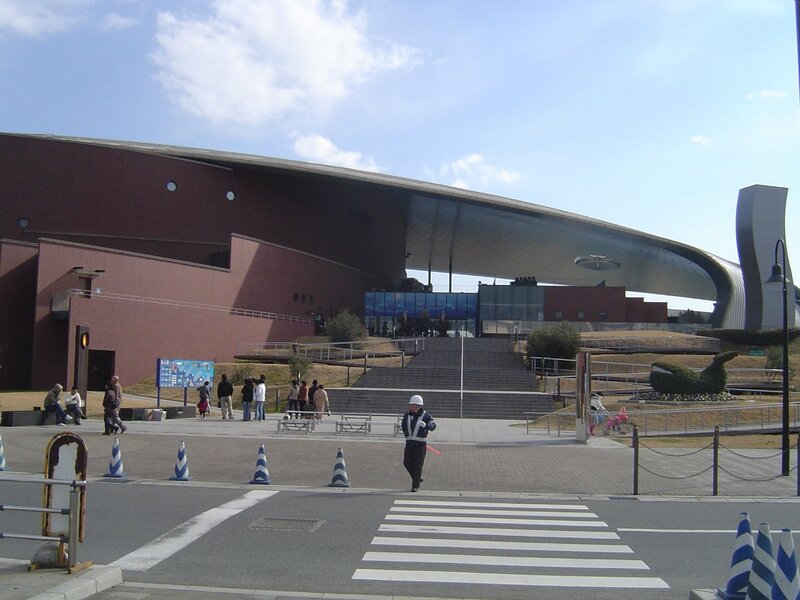 Shimonoseki Kaikyokan which overlooks the Kanmon Straits is the area's biggest modern attraction. 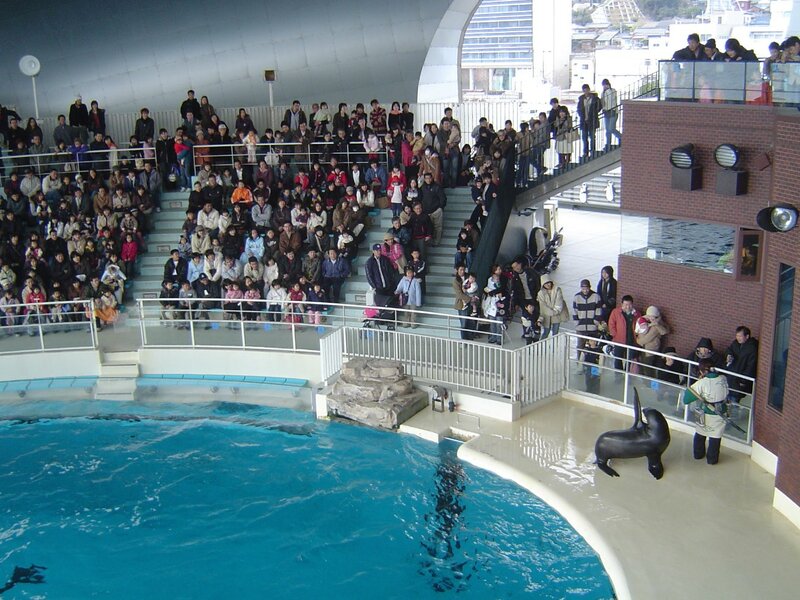 Operated by Shimonoseki City, the aquarium has over 100 types of puffer fish, penguins, a highly enjoyable dolphin and sea lion show and more. 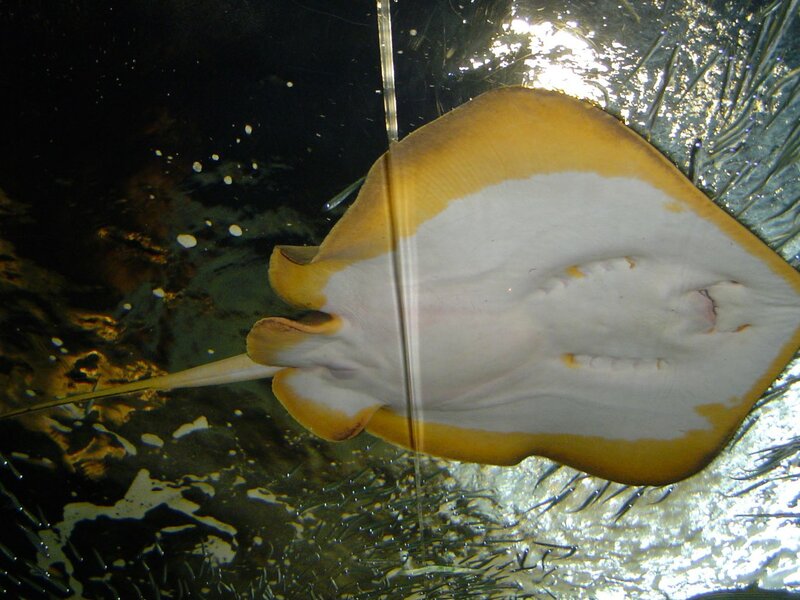 The aquarium is open every day and many special events are held during the year. The aquarium begins with a dramatic sloped escalator ride up to the 4th floor complete with a light show, mirrors and a video wall. Pumped and energized, you'll feel ready for the most exciting ride in your life or something close to it. The 4th floor begins with striking tank under a panoramic view of the expressway's Kanmon Bridge. This tank is chock full of fish from under the same bridge the window frames nicely. Trying to find even one of the types fish outside would prove difficult. A well done tunnel ends the area with more shoreline creatures. Simulated waves crash overhead in a decorative and distinct start to a well executed aquarium. Shimonoseki City is famous throughout Japan for its plentiful fugu harvest. 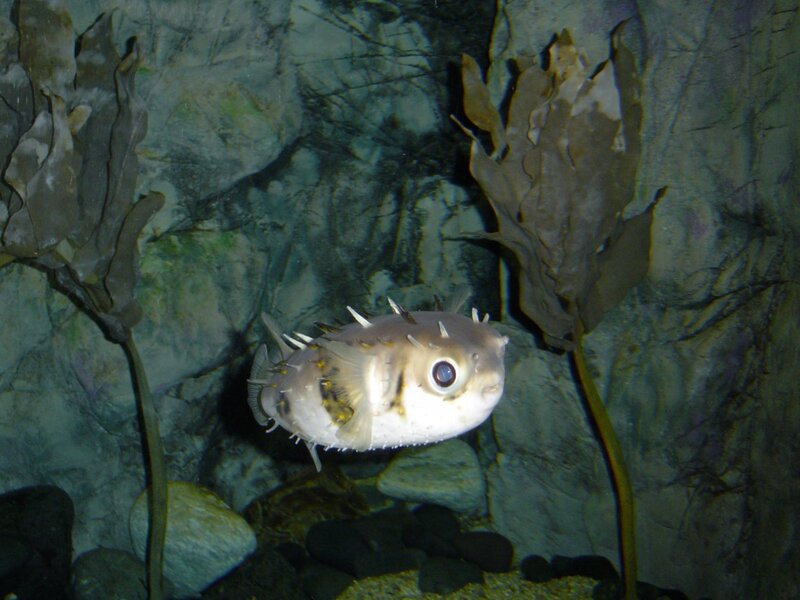 The next tanks show off the city's leading fish and a number of different species of fugu and their roles. A support cast in the touch pool rounds out the 3rd floor's displays. 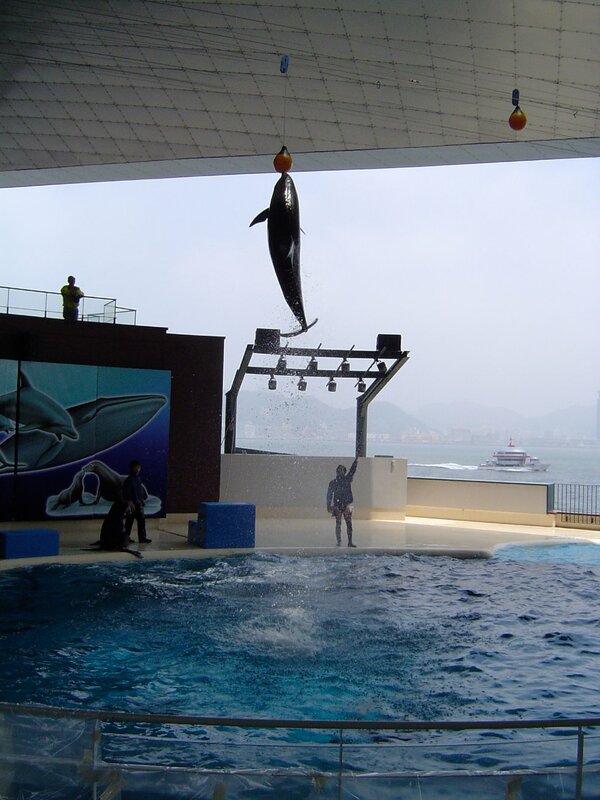 The aquarium runs a well produced and entertaining show which entwines the regular tricks with some theatre. 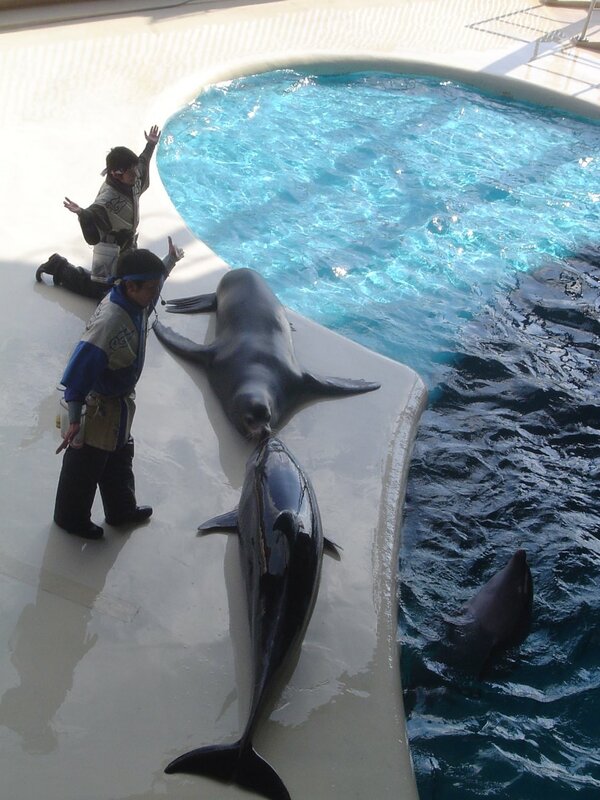 With dolphin armies, the sea lions and their trainers act out a famous samurai battle. The show is less educational than most shows but clearly shows off the natural abilities of the animals. 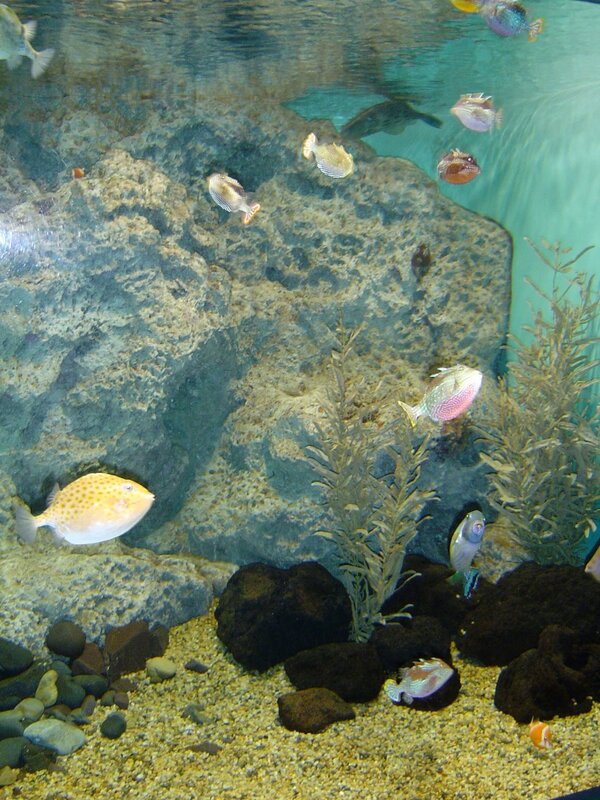 The second floor winds down the aquarium experience with a greater focus on the natural environment that fish live in. 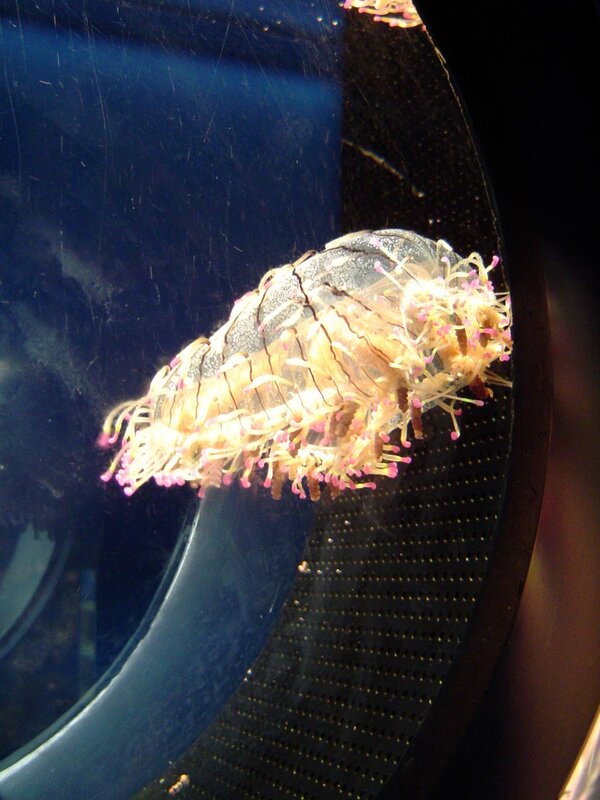 As well, there are displays of the area's more wonderfully bizarre creatures. Seals and a black finless porpoise are the anchor tenants of the area. 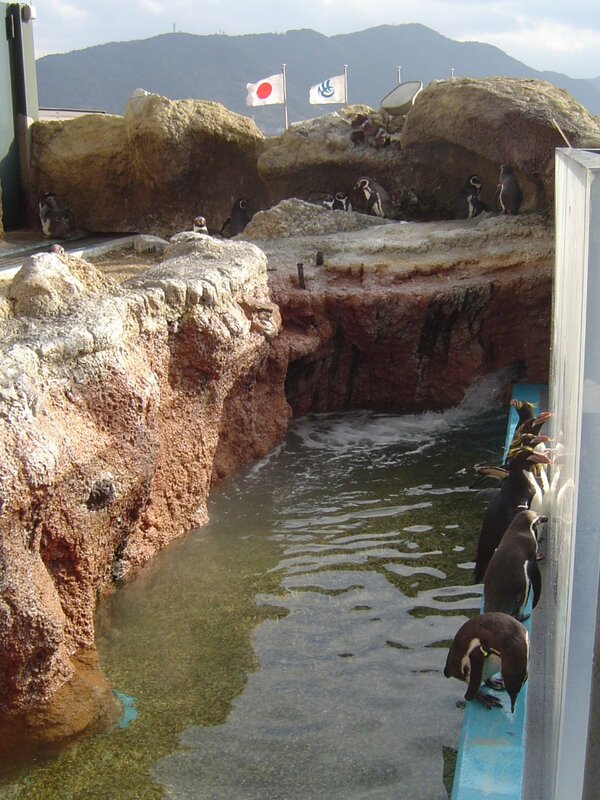 Across the aquarium building and past the souvenir shop is the penguin exhibit. 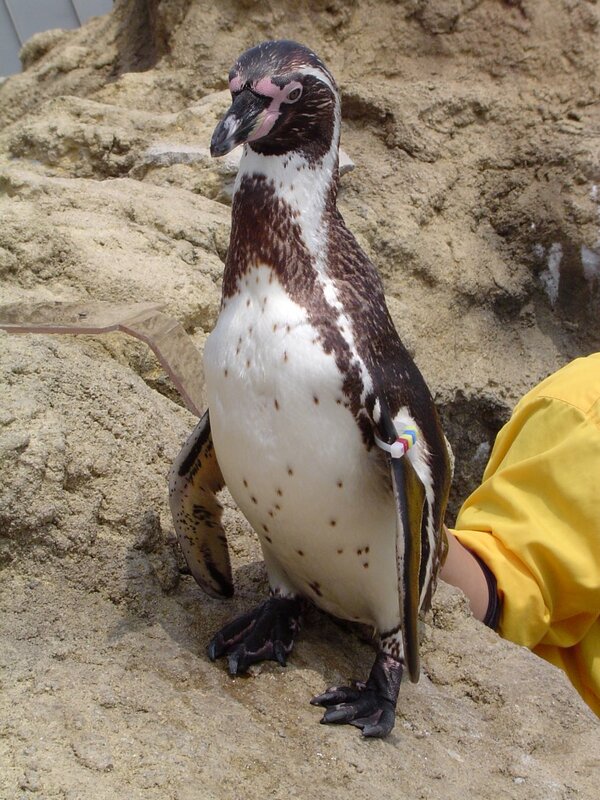 Two species of penguin are combined in the open-air exhibit. The bottom floor is dedicated more to education than good displays but there are a few interesting creatures lurking in the basement. 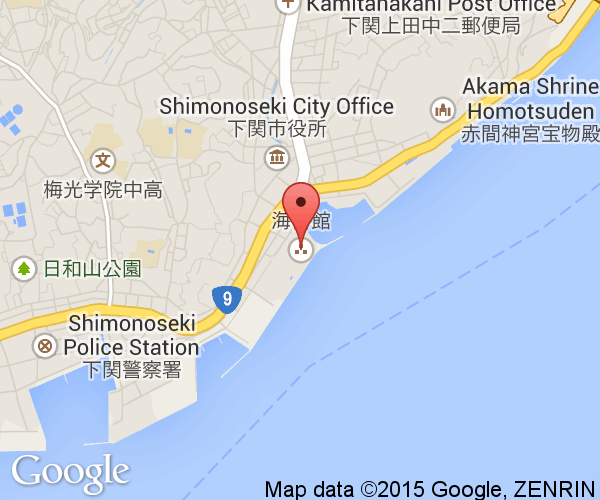 The Shimonoseki Kaikyokan is located east of the city center next to the ocean along the Kanmon Straits. It can be reached easily by bus from JR Shimonoseki Station in the city (7 to 10 minutes) or from JR Shin-Shimonoseki Station (30 minutes). Announcements about the correct stop to get off at will likely be made. By car, the aquarium is easy to reach and the building has convenient (but not free) parking.